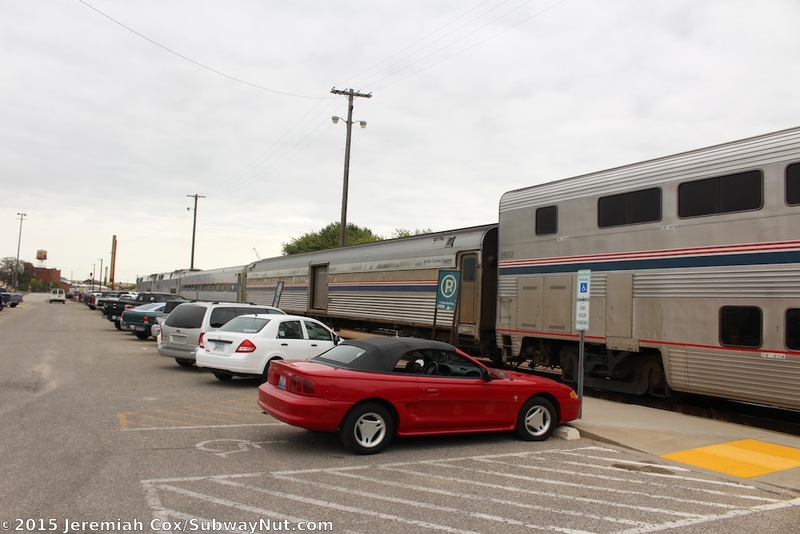 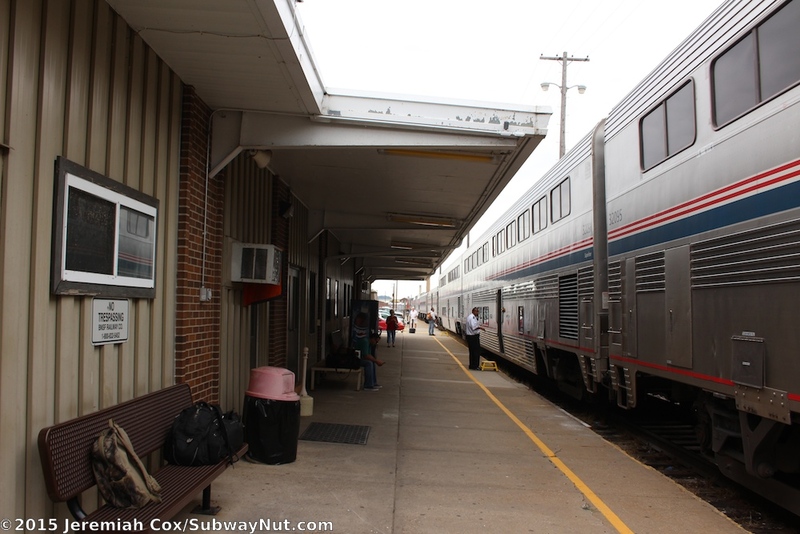 Fort Madison, Iowa is the one station in Iowa on the Southwest Chief (it crosses the Mississippi just north of the station, and enters Missouri over the Des Moines River), and was the only station in Iowa on the Atchison, Topeka, and Santa Fe Railway. 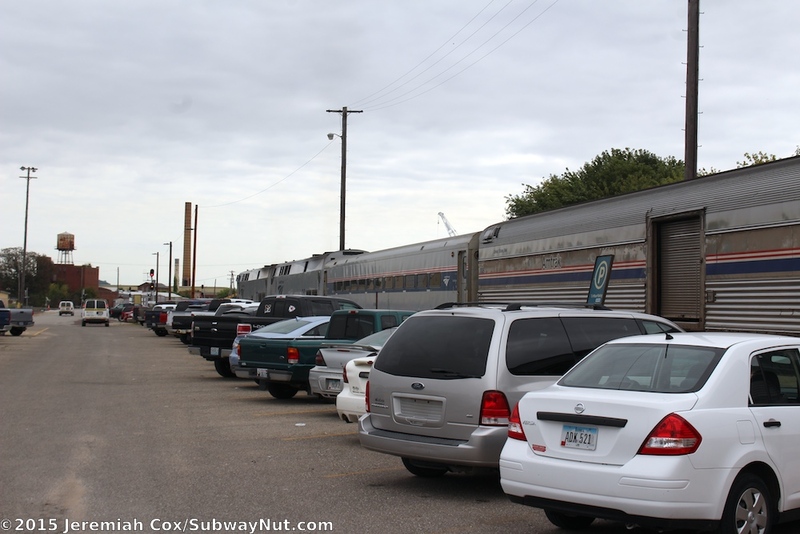 The current station built in 1968 is located a mile southwest of the historic and still-standing 1910 train station in the BNSF rail yards that are also used as a crew base for BNSF. 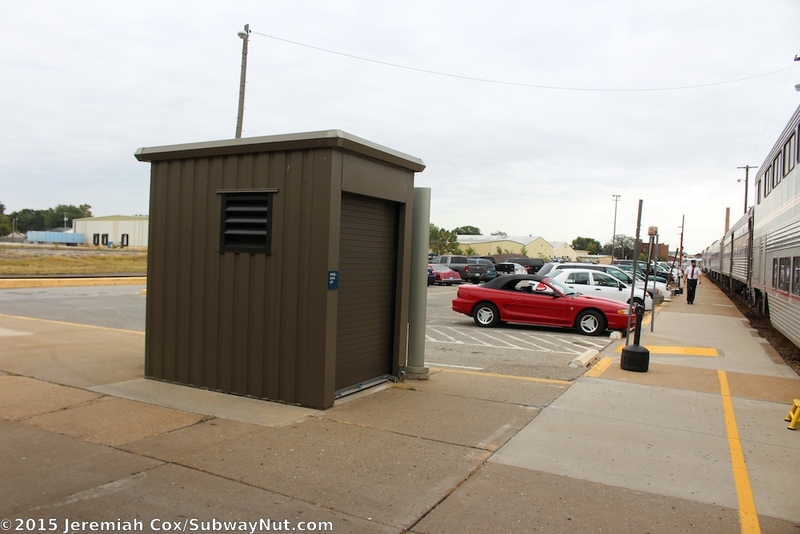 Today's station building is a 1960s metal siding station painted an ugly beige color that is largely one level except for a small second level in the middle of the building to provide visibility over the train yard. 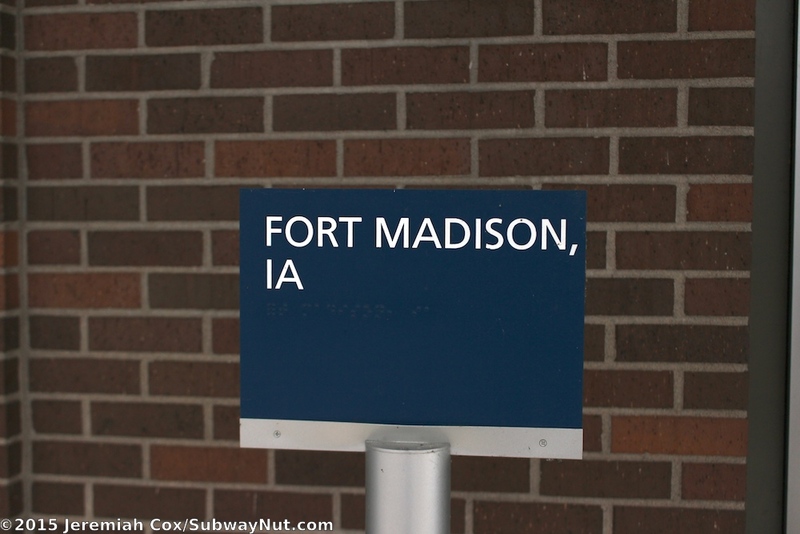 On this tower-like level Ft. Madison is written in red lettering. 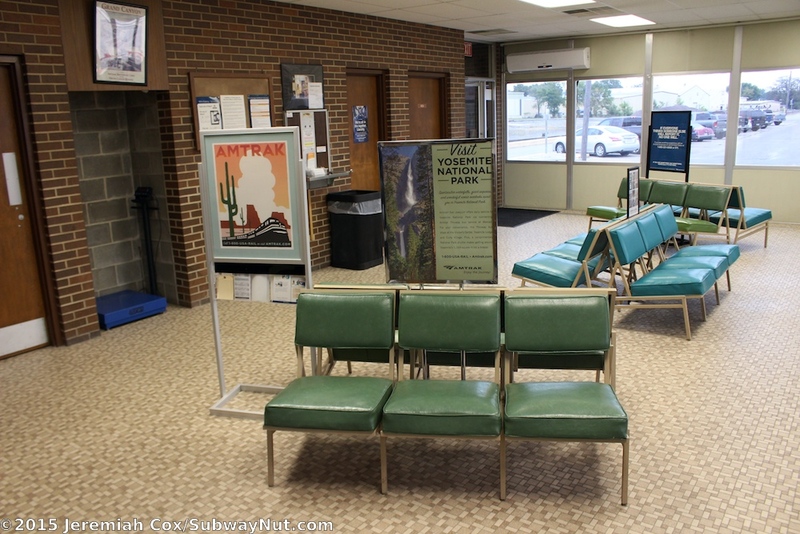 For Amtrak passengers there is a small waiting room and weekdays only ticket office open for a split-shift weekdays only from 10:00am to 1:00pm and 5:30pm to 6:00pm according to a paper sign on the door (until 8:00pm according to the Amtrak app) on the northside of the building. 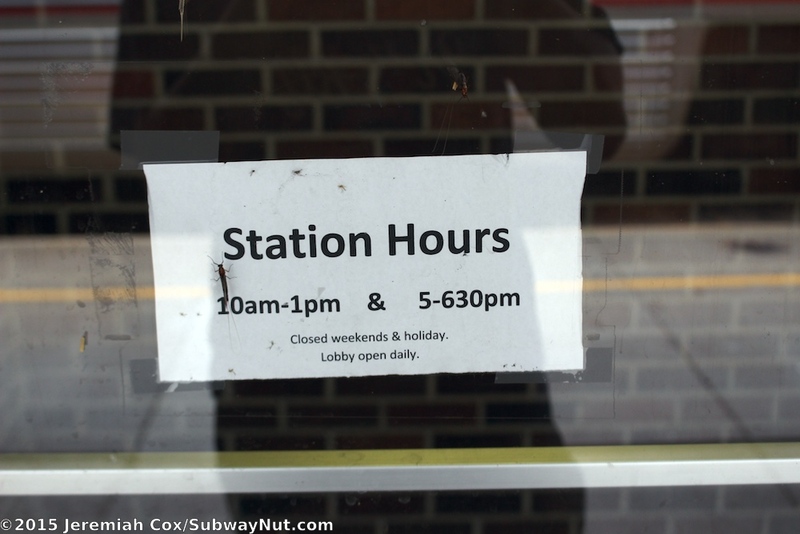 On weekends the station is still open unstaffed for waiting passengers. 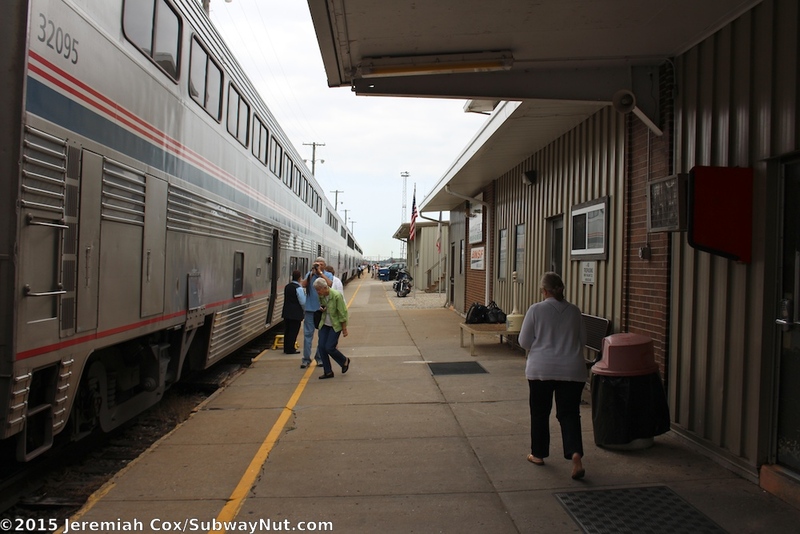 Checked baggage had been discontinued but is now being accepted again as of August 26, 2013 with passengers checking and retrieving their luggage train side on weekends when no agent is available. 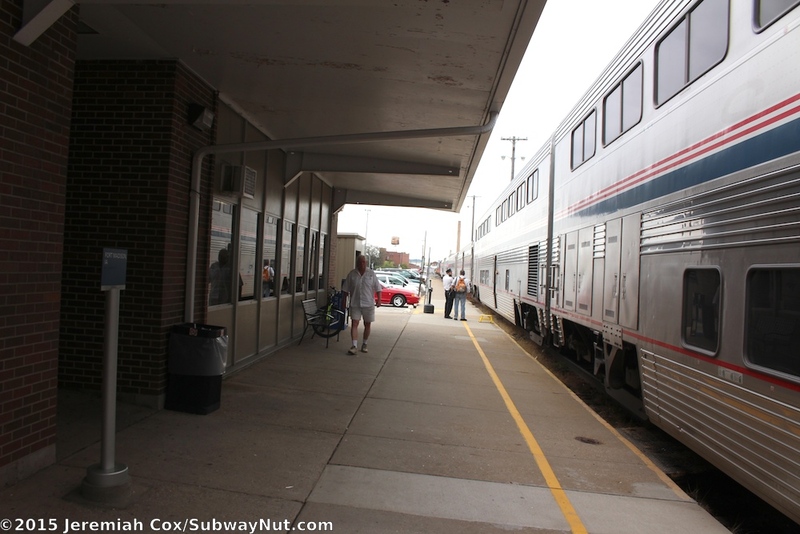 Amtrak classifies it as a Limited Baggage Stop The station is a locomotive engineer crew change point (with the conductors staying on all the way Chicago to Kansas City) and normally a fresh air stop. 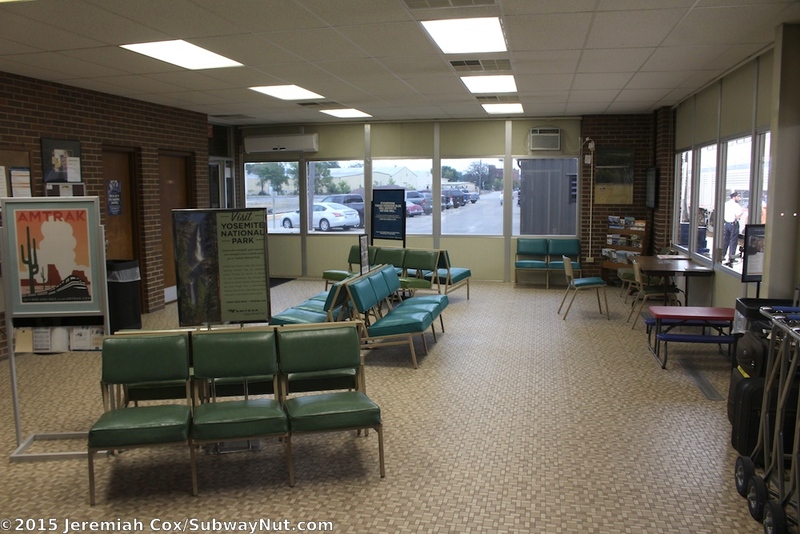 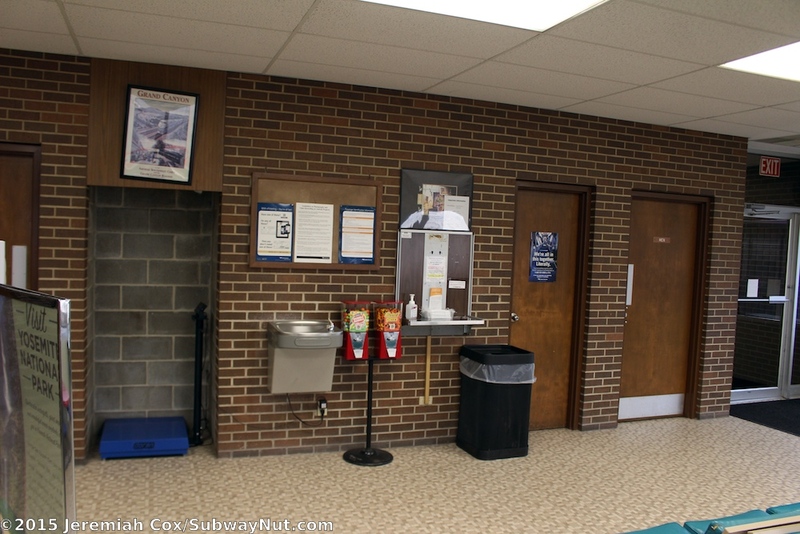 The inside of the waiting area consists of a small room that looks like it hasn't changed since it opened in 1968, there is a tile floor, exposed brick wall (where the station's restrooms and water fountain is) and sets of chairs that are either light green and light blue colors. 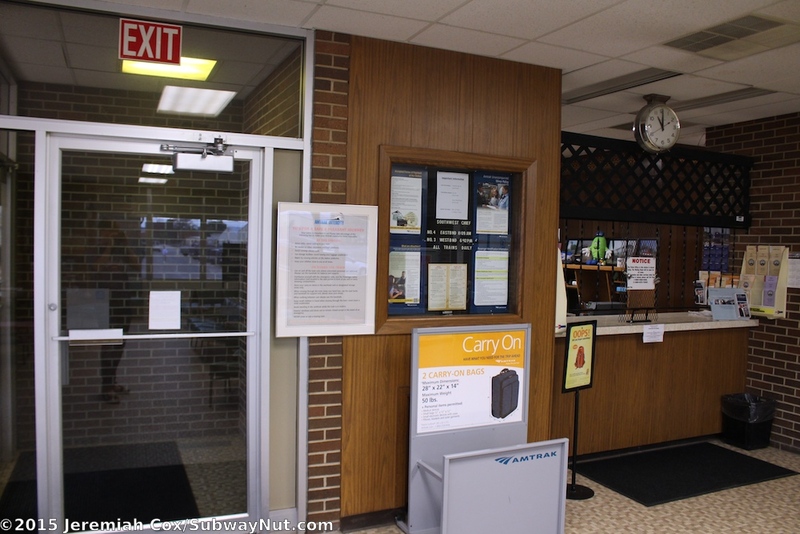 The ticket window is at one corner. 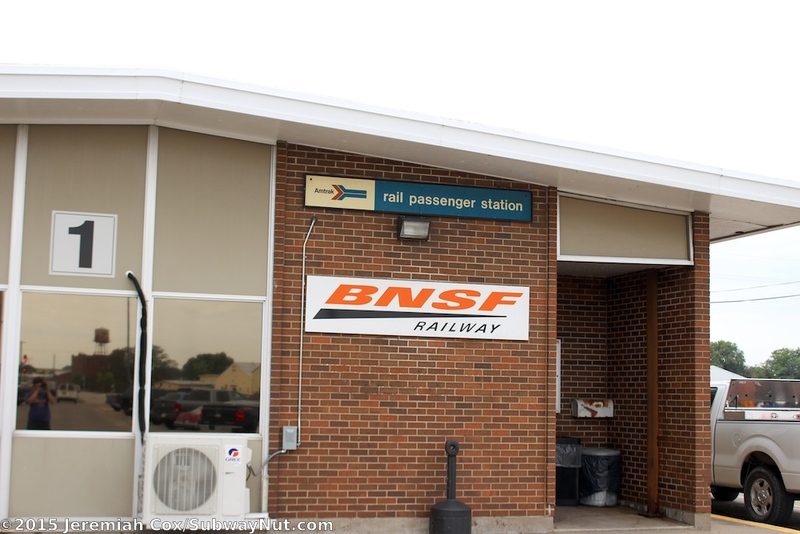 The station is located in the middle of some rail yards on the edge of the Mississippi River with tracks on either side of the station. 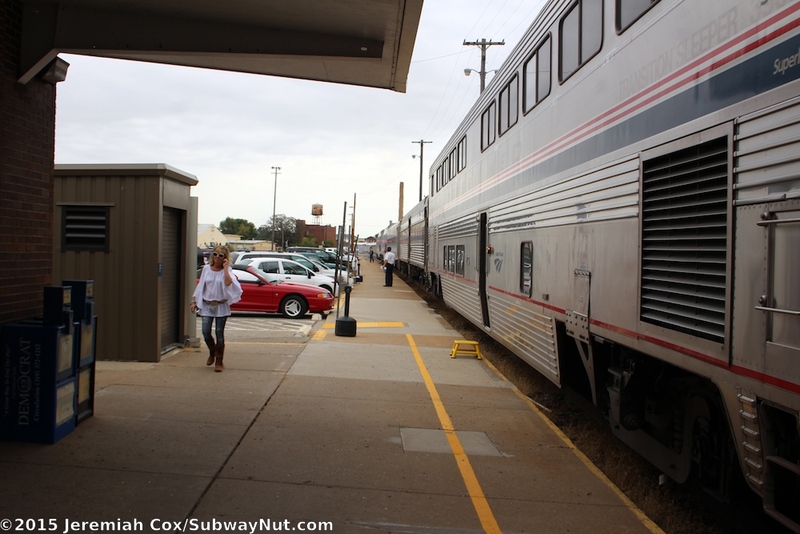 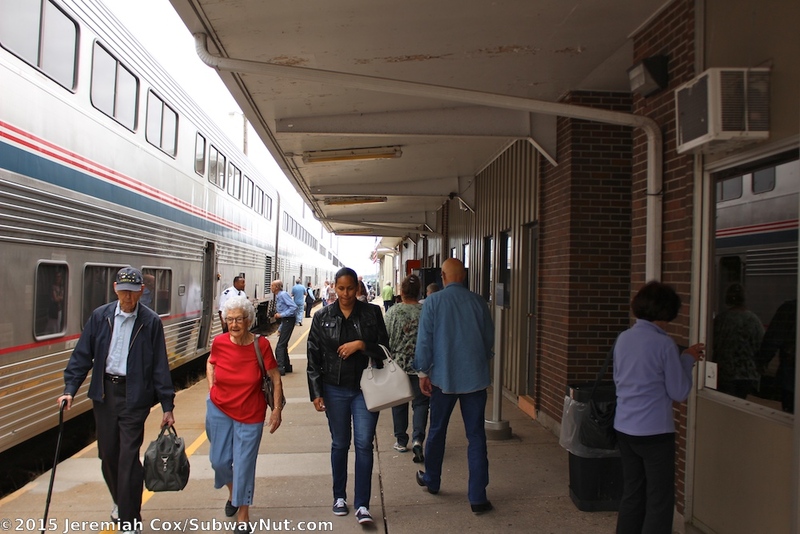 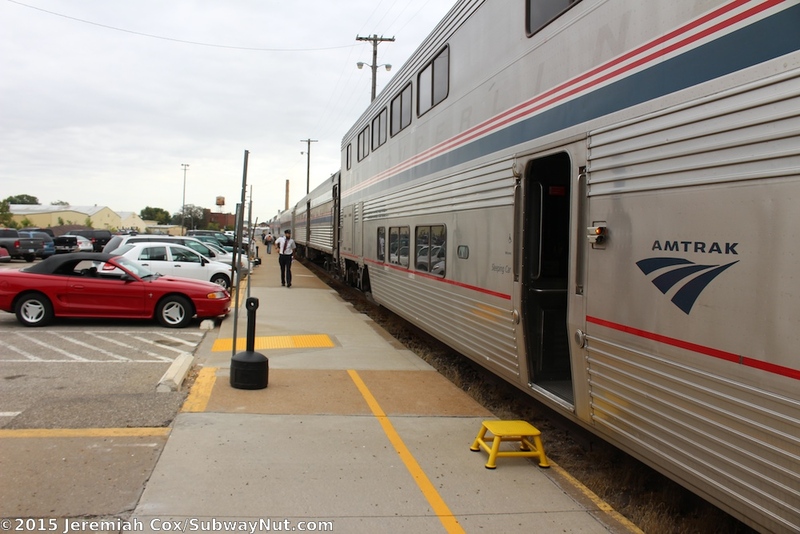 For Amtrak trains, there is a simple concrete platform with a yellow line along the southern side of the depot with a second narrower platform (with just a few pedestrian crossings) along the next track, another track farther south doesn't platform at all. 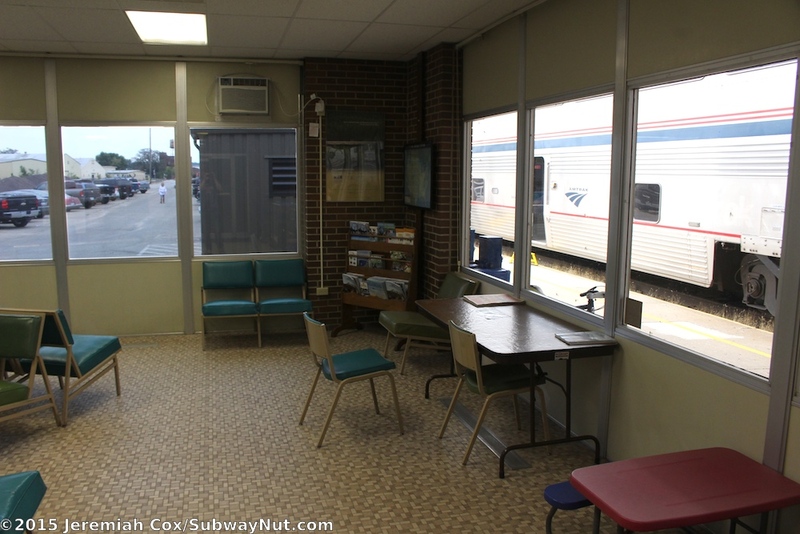 Recent signage improvements have included a modern Amtrak information panel, and wheelchair lift enclosure right outside the Amtrak waiting room. 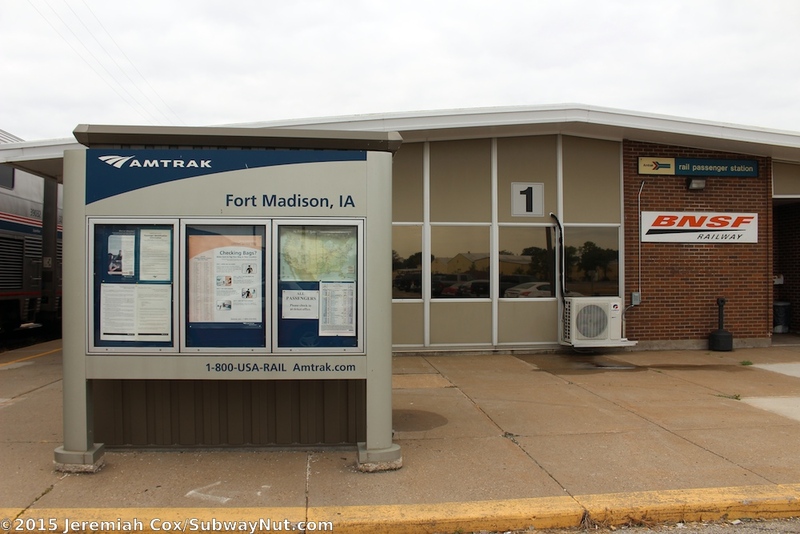 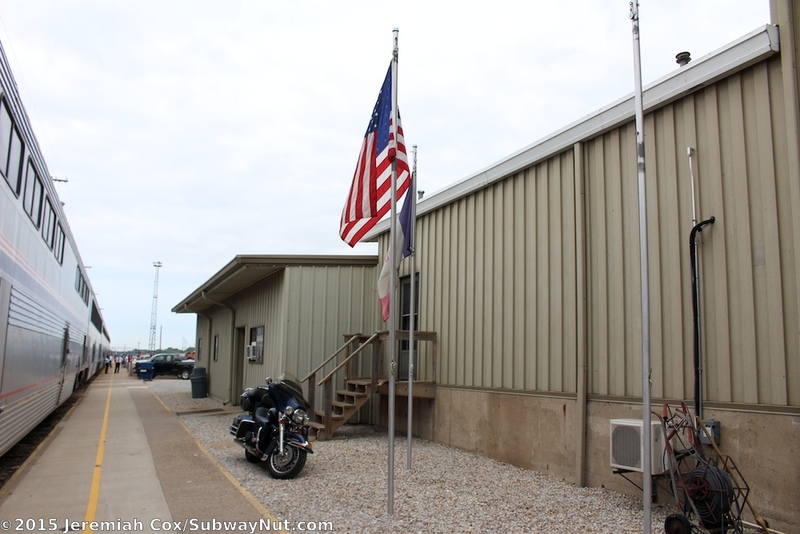 The narrow middle platform has received a series of modern Fort Madison, IA signs. 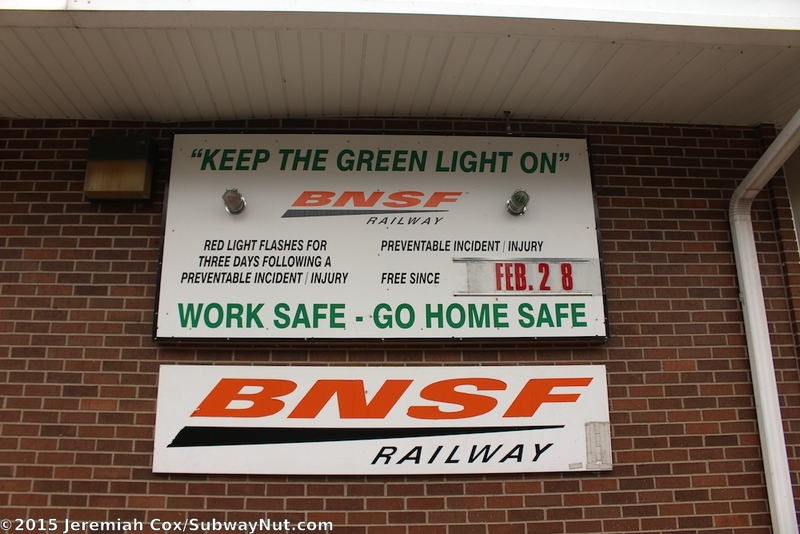 All access to the station is from the north from the grade crossing of 20th Street about a quarter mile east of the station.